Are you looking for 3d real estate walkthrough rendering? 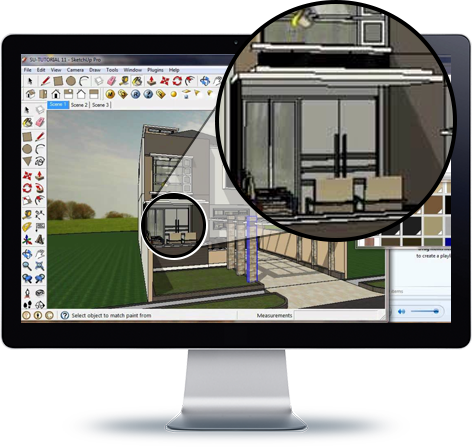 We are a rendering service provider and 3d walkthrough as well as architectural walkthrough is also present in the long list of offerings that we have. We contemplate on getting the best rendering to be done according to the latest trends and incorporating the client’s detail in the same. We aim to produce quality 3d walkthrough for which we follow a specific process to meet the benchmark every time we work on something. At first, we get to the details provided by the client. We then analyze the same about how they could be fitted with the latest trends of the industry and how could the rendering be made the best. After getting to this our professional renderers get through the rough draft of the project which is then analyzed by our other experts to improve it with more effectiveness and getting everything perfect. After the analysis has been done it is then converted into the final product which is then given to the client to be checked and if there some revisions according to the clients we make them happen to satisfy our clients. We follow this process and aim to deliver the best quality of rendering and walkthrough rendering to be provided to our customers in affordable rates. More than anything we thrive for the satisfaction of our customers.